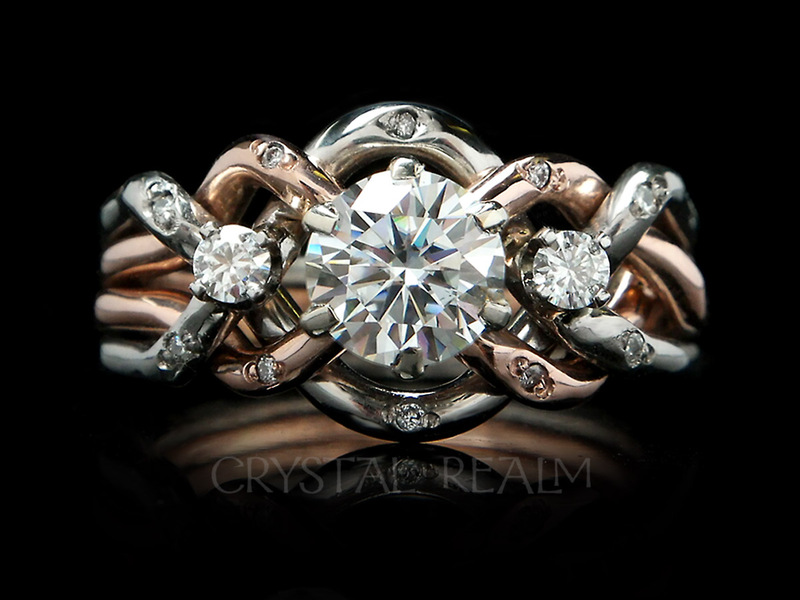 A simple twisted ribbon-like strand surrounds sparkling diamonds. 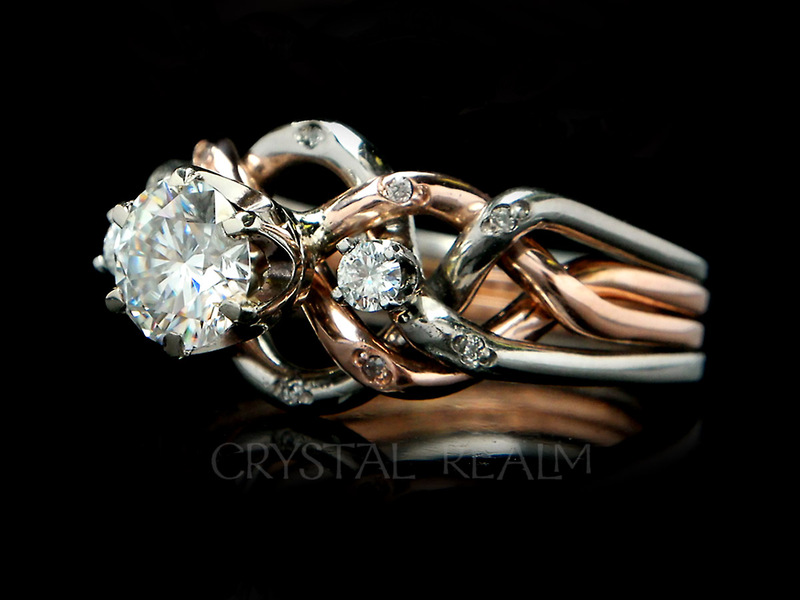 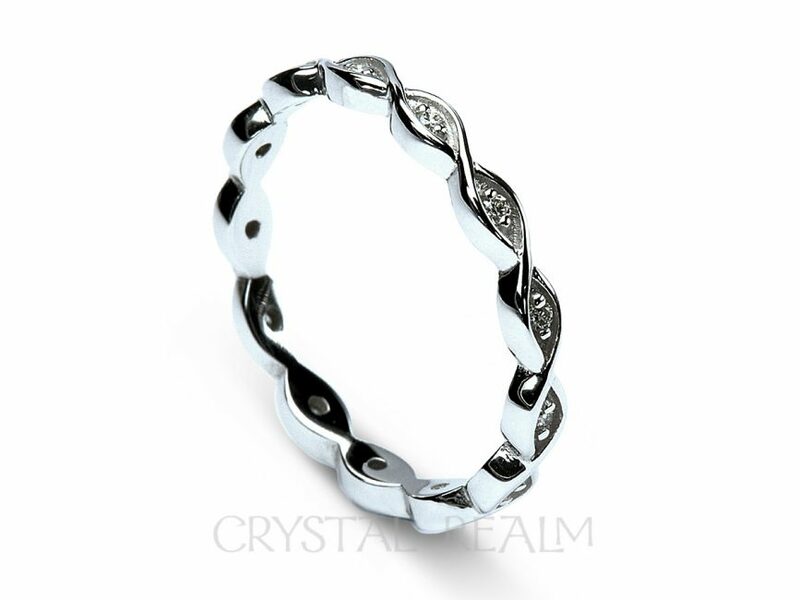 Precious metal: Shown in 14K white gold, you may also select from 14K yellow or rose gold. 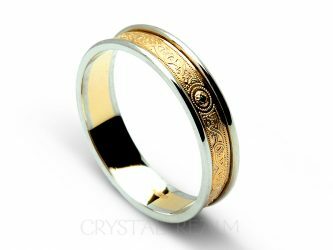 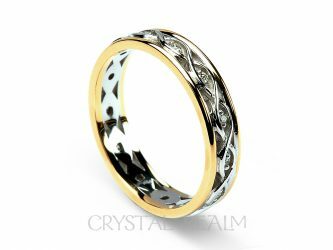 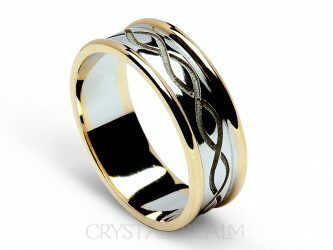 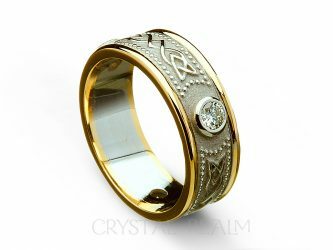 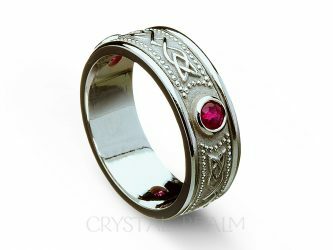 Celtic ring sizes and width: Whole and half sizes 3.5 to 9 in a width of 3.3mm (for reference 1/4 in. 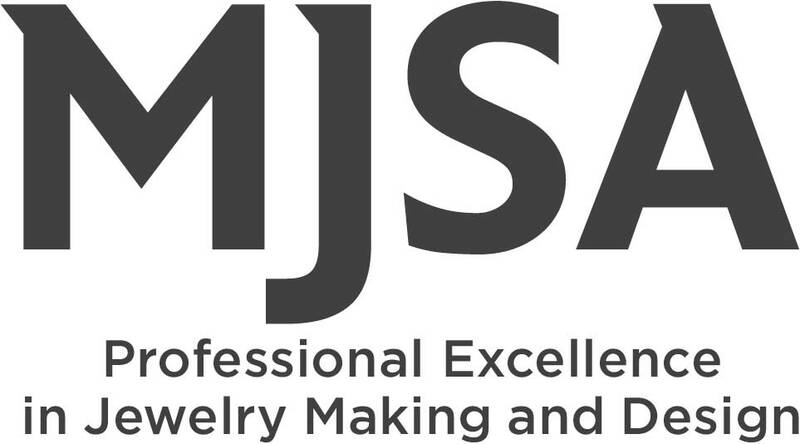 = 6.4mm).